Health Education professionals are dedicated to excellence in the practice of promoting individual, family, organizational, and community health. Guided by common values, health educators are responsible for upholding the integrity and ethics of the profession as they face daily challenges of decision making. By acknowledging the value of diversity in society and embracing a cross-cultural approach, health educators support the worth, dignity, potential, and uniqueness of all people. Health educators aspire to the highest possible standards of conduct and encourage the ethical behavior of all those with whom they work. Regardless of job title, professional affiliation, work setting, or population served, health educators follow this code when making professional decisions. A Health educator’s ultimate responsibility is to educate people for the purpose of promoting, maintaining, and improving individual, family, and community health. When a conflict of issues arises among individuals, groups, organizations, agencies, or institutions, health educators must consider all issues and give priority to those that promote wellness and quality of living through principles of self-determination and freedom of choice for the individual. Section 1: Health educators support the right of individuals to make informed decisions regarding health, as long as such decisions pose no threat to the health of others. Section 2: Health educators encourage actions and social policies that support and facilitate the best balance of benefits over harm for all affected parties. Section 3: Health educators accurately communicate the potential benefits and consequences of the services and programs with which they are associated. Section 4: Health educators accept the responsibility to act on issues that can adversely affect the health of individuals, families, and communities. Section 5: Health educators are truthful about their qualifications and the limitations of their expertise and provide services consistent with their competencies. Section 6: Health educators protect the privacy and dignity of individuals. Section 7: Health educators actively involve individuals, groups, and communities in the entire educational process so that all aspects of the process are clearly understood by those who may be affected. Section 8: Health educators respect and acknowledge the rights of others to hold diverse values, attitudes, and opinions. Section 9: Health educators provide services equitably to all people. Health educators are responsible for their professional behavior, for the reputation of their profession, and for promoting ethical conduct among their colleagues. Section 1: Health educators maintain, improve, and expand their professional competence through continued study and education; membership, participation, and leadership in professional organizations; and involvement in issues related to the health of the public. Section 2: Health educators model and encourage nondiscriminatory standards of behavior in their interactions with others. Section 3: Health educators encourage and accept responsible critical discourse to protect and enhance the profession. Section 4: Health educators contribute to the development of the profession by sharing the processes and outcomes of their work. Section 5: Health educators are aware of possible professional conflicts of interest, exercise integrity in conflict situations, and do not manipulate or violate the rights of others. Section 6: Health educators give appropriate recognition to others for their professional contributions and achievements. Health educators recognize the boundaries of their professional competence and are accountable for their professional activities and actions. Section 1: Health educators accurately represent their qualifications and the qualifications of others whom they recommend. Section 2: Health educators use appropriate standards, theories, and guidelines as criteria when carrying out their professional responsibilities. Section 3: Health educators accurately represent potential service and program outcomes to employers. Section 4: Health educators anticipate and disclose competing commitments, conflicts of interest, and endorsement of products. Section 5: Health educators openly communicate to employers, expectations of job-related assignments that conflict with their professional ethics. Section 6: Health educators maintain competence in their areas of professional practice. 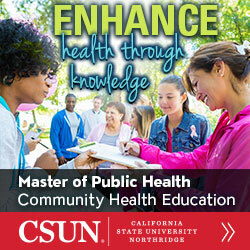 Health Educators promote integrity in the delivery of health education. They respect the rights, dignity, confidentiality, and worth of all people by adapting strategies and methods to the needs of diverse populations and communities. Section 1: Health educators are sensitive to social and cultural diversity and are in accord with the law, when planning and implementing programs. Section 2: Health educators are informed of the latest advances in theory, research, and practice, and use strategies and methods that are grounded in and contribute to development of professional standards, theories, guidelines, statistics, and experience. Section 3: Health educators are committed to rigorous evaluation of both program effectiveness and the methods used to achieve results. Section 4: Health educators empower individuals to adopt healthy lifestyles through informed choice rather than by coercion or intimidation. Section 5: Health educators communicate the potential outcomes of proposed services, strategies, and pending decisions to all individuals who will be affected. Health Educators contribute to the health of the population and to the profession through research and evaluation activities. When planning and conducting research or evaluation, health educators do so in accordance with federal and state laws and regulations, organizational and institutional policies, and professional standards. Section 1: Health educators support principles and practices of research and evaluation that do no harm to individuals, groups, society, or the environment. Section 2: Health educators ensure that participation in research is voluntary and is based upon the informed consent of the participants. Section 3: Health educators respect the privacy, rights, and dignity of research participants, and honor commitments made to those participants. Section 4: Health educators treat all information obtained from participants as confidential unless otherwise required by law. Section 5: Health educators take credit, including authorship, only for work they have actually performed and give credit to the contributions of others. Section 6: Health educators who serve as research or evaluation consultants discuss their results only with those to whom they are providing service, unless maintaining such confidentiality would jeopardize the health or safety of others. Section 7: Health educators report the results of their research and evaluation objectively, accurately, and in a timely fashion. Those involved in the preparation and training of Health Educators have an obligation to accord learners the same respect and treatment given other groups by providing quality education that benefits the profession and the public. Section 1: Health educators select students for professional preparation programs based upon equal opportunity for all, and the individual’s academic performance, abilities, and potential contribution to the profession and the public’s health. Section 2: Health educators strive to make the educational environment and culture conducive to the health of all involved, and free from sexual harassment and all forms of discrimination. Section 3: Health educators involved in professional preparation and professional development engage in careful preparation; present material that is accurate, up-to-date, and timely; provide reasonable and timely feedback; state clear and reasonable expectations; and conduct fair assessments and evaluations of learners. Section 4: Health educators provide objective and accurate counseling to learners about career opportunities, development, and advancement, and assist learners secure professional employment. Section 5: Health educators provide adequate supervision and meaningful opportunities for the professional development of learners.